How old do you have to be to take singing lessons? Something we get asked quite often is “How old should you be to take singing lessons?” It’s an easy answer, as soon as possible! 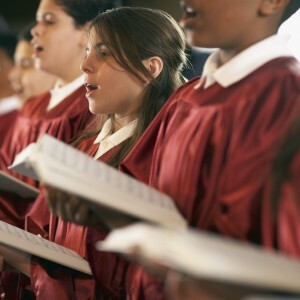 The older we are when we start singing, the more the bad habits we have as singers. The older a habit is, the deeper it’s ingrained in your brain. The deeper a habit is, the harder it is to break. Now, that doesn’t mean you should just give up. But, it’s worth bearing in mind that in taking lessons as an adult, it might not be as easy to fix some problems as it would be if you were 15 years old. Some things are going to take time to figure out, and you’ll need to be patient and practise! The great thing about the technique we teach, is that the exercises we use are designed to bypass your nervous system. This helps you to start coordinating your voice better almost straight away, helping you to get over those bad habits and build a stronger, healthier voice. If you are looking at getting singing lessons for your child, it’s recommended to look for a good teacher who is comfortable teaching young children. They should keep lessons fun for your child, but at the same time start to build their musical ear and train their voice. No matter what age you are though, you have to practise, you won’t get any better without it! So when it comes to start taking singing lessons the younger the better, but don’t worry if you’re a bit older, you can still make progress and improve as a singer. Leave us a comment below about your experiences of singing lessons when you were young, or get on our Facebook page, Twitter or Google + and let us know!